Now you can use Kavita Kosh, world’s largest online library of Indian literature, right on your mobile phone or tablet. Android and Windows based apps have been released. World’s largest online library of Indian literature, Kavita Kosh and Gadya Kosh, is now also available through mobile app. Kavita Kosh project has launched apps for mobile devices based on Android and Windows platforms. The developer says that the apps are still under development and the released versions should be considered beta. Kavita Kosh website website hosts over 75,000 poems typed in Devanagari (Hindi) script (and more poems are added every day). These poems are from various Indian languages like Hindi, Urdu, Maithili, Bhojpuri, Rajasthani and Awadhi among others. Similarly, Gadya Kosh website of Lalit Kumar holds more than 12,000 pages which contain prose literature like novels, stories, short stories, travlogue, memoir etc. These two are extremely popular website among Hindi lovers. Now that a lot of people in India are using Internet on the go –it is a boon for poetry lovers to have these apps. Already thousands of people have downloaded these apps and are reading poetry as and when they feel like. Kavita Kosh and Gadya Kosh are world’s largest online libraries of Indian literature. These mobile apps provide a massive list of writers from Kavita Kosh and Gadya Kosh databases. Once a user taps on a poet of choice –list of all the available poems of that poet appears –then the user can select a poem for reading. On personalization front, apps provides an option to create a “favorites” list of poets as well as poems. This feature allows users to reach their favorite poems just on a tap. Although the app is compatible with Gingerbread version of Android –but it is recommended to use it on Jellybean or above to be able to use all the features. Lalit Kumar, director of Kavita Kosh project, told TechWelkin that very soon similar apps for Gadya Kosh website also will be released. 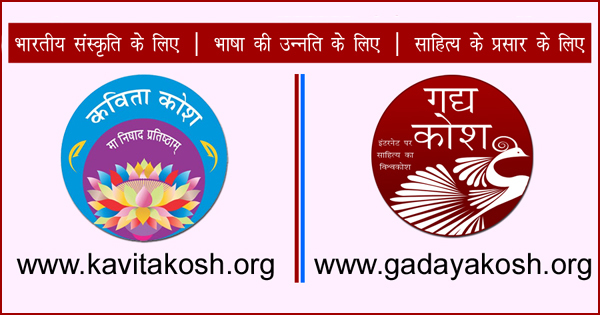 Gadya Kosh is a sister website of Kavita Kosh that collects Indian prose literature. Lalit mentioned that these apps have been developed by Ankit Agarwal. UPDATE: Windows mobile app for Gadya Kosh has been made available. Android version is expected to be released soon. Please sir release an ios version of the kavita kosh. We are working on that. But as Kavita Kosh is a voluntary project, we face many constraints. But now Kavita Kosh is a mobile-friendly website. You can browse it in your mobile browser. First of all I am very thankful to you that you have done great work for literature students. They have developed knowledge of kavita for higher education mostly used in lecturereship and NET/JRF. Dear Lalit sir I reapeat again please make for android version gadya kosh beacose I’m a student of literature or can’t purchase maximum story or novels books so please make it fast for learn or save your recorded books thanks. Dear Dhananjay, developing a mobile app requires funds. At present, I do not have funds to develop Gadya Kosh app. But I am trying. I don’t know when we will be able to release the Android app for Gadya Kosh. Please bear with us. Its a plea to make Gadyakosh application for Android.I am eagerly waiting for it since last 2 years.hoping for positive reply as soon as possible. Hi Amit, we are trying to get the app developed. In the meantime, I have made the website such that you can read it very easily in your mobile browser. Just visit Gadya Kosh in your mobile’s browser and read. Dear lalit sir I request you please make a gadyakosh software for android mobile. I’m waiting for this app bcos I’m also used kavitakosh android app or feelluckly so please make a gadyakosh app for android divice thanks. Dear Dhananjay, now Gadya Kosh can be read in your mobile’s browser. We are working on Gadya Kosh Android App, but it may take some more time. So, I have configured the website so that it can be used in mobile browser. Hope you’ll like it! I m also a big fan of kavita kosh but it’s app is not available for iphone..bhut Muskil hoti hai bina app ke padhna..so request krti huin ki ..android and windows ke alaawa isse iphone friendly v banaaye ..
Hope positive response very soon..
Well, Neelima, I am glad you liked Kavita Kosh. But as you may know, this project works on voluntary contributions. We run even the server of Kavita Kosh with difficulty. We are trying our best to find money for getting an iPhone version developed. But so far no luck! Open an bank account for the name of website and make a request to deposit in the account for makeing and maintainous of the app and website. If you need technical support for the app pls tell us,if it is possible I’ll try to manage. Thank you for your words of support Vicky. It’s a wonderful effort on your part. keep it up. by any chance if you develop an iOS app for your kavita kosh, do let us know. Kavita kosh one stop shop ho Gaya. Ati prashansaniya. !! Ab Purani se nai kavitaon ke liye Kahin aur jaane ki zaroorat nahi. Thank you Pratyush! We are continuing our efforts to make the app better :-) Hope to sort out such problems soon. Lalitji ye aapka bahut hi uttam prayaas hai, mai bhi manish ji se sehmat hu, mai kuch jyaada to nahi kar sakta fir bhi agar aap se kuch vaartalaap hota rahe to shaayad aapka bahut soocham sa sehyog karne ki koshish kar sakta hu. Priy Abhishek, sandesh bhejne ke liye dhanyawaad. Mujhse vaartalaap to bahut aasaan hai. Mera email ID india [dot] lalit [at] gmail [dot] com hai. Aur main Facebook par bhi hoon. Delighted to find Kavita Kosh. Many thanks to you. Hope your efforts make you some money too!! I think, it would be better if there would be a single mobile web application or hybrid application instead of separate application for each platform. As I am saying like this on the basis of my analysis (1. There is no need to accesses the underlying low level hardware . As the functionality of this apps is utilizing processor intensive task. 2. Maintenance and development is tedious in case of native apps for all device. 3. Look & Feel of application UI might be different as per platform ). Hope you might have some other key point for choosing to develop separate apps for all platform. Thanks to the director of Kavita Kosh!